Visitors to Hanoi will probably make a stop to the famed Temple of Literature. This feature in the Saigon Giai Phong introduces the temple and its significance over its 900-year-old history. 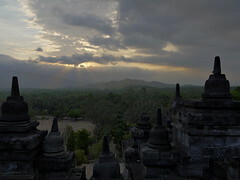 Indonesia’s most famous ancient monument is to be visited by the president of the United States when he makes his visit to Indonesia next month. Antique collectors from Hanoi showcase their collectors in conjunction with the 1,000 year anniversary of Hanoi. Unfortunately, the article doesn’t write where the exhibition actually is. 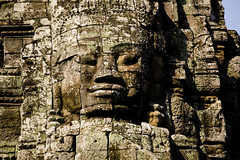 Archaeologists have discovered a drainage system for rainwater at the Bayon temple in Angkor Thom. Cambodia files a complaint against Google for placing more than half of Preah Vihear into Thai territory. Google has responded that they will look into the matter, and here’s a picture taken off Google Maps on Wednesday (10 Feb 2010). 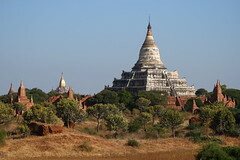 Malaysia’s Star has a travel piece on the ruins of Bagan in Myanmar – with a reference to a five star resort and viewing tower built right in the middle of the pagoda area – the horror! 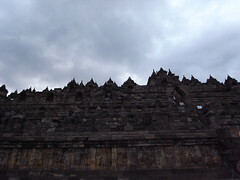 Readers planning to visit the ancient temples of Java like Borobudur and Prambanan will soon have to observe a dress code, or at least not be clad in skimpy miniskirts. The management company overseeing the sites are enforcing a dress code so as to preserve a sense of respect on what are, after all, sacred sites. It’s nice to see such a sense of respect for Buddhist and Hindu temples in such a predominantly Muslim country.